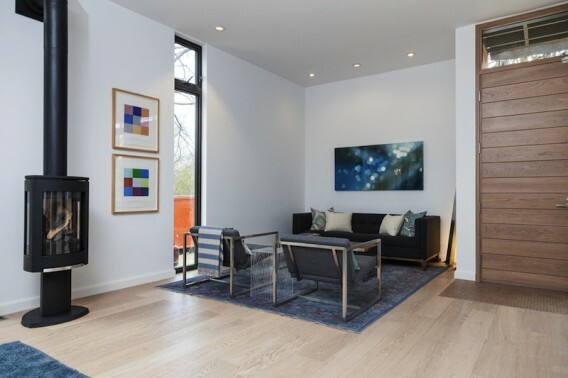 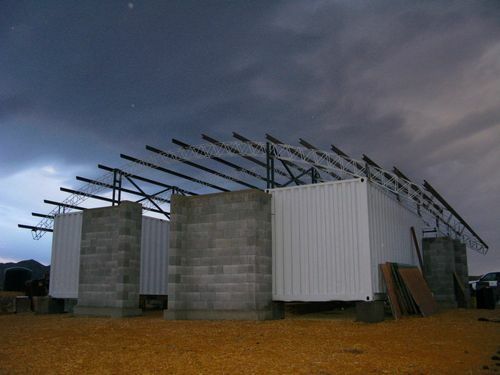 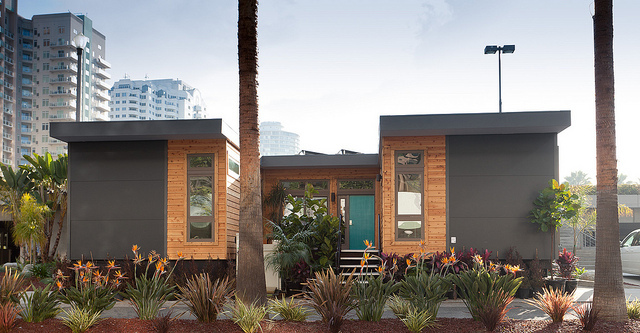 LivingHomes recently introduced a new, lower cost prefab called the C6 and built two models to showcase to the world. 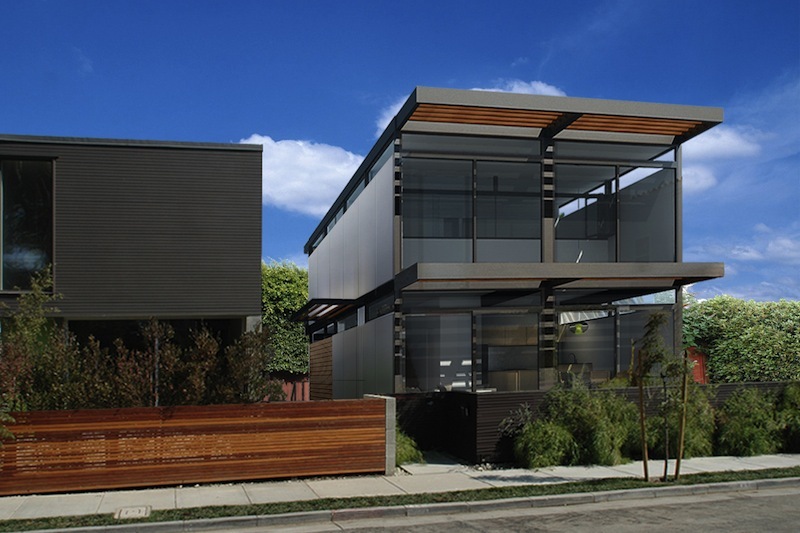 Last week, we mentioned the Palm Springs C6 and this one is located in Long Beach, California (catch a tour Feb. 25, 2012 if you’re in the area). 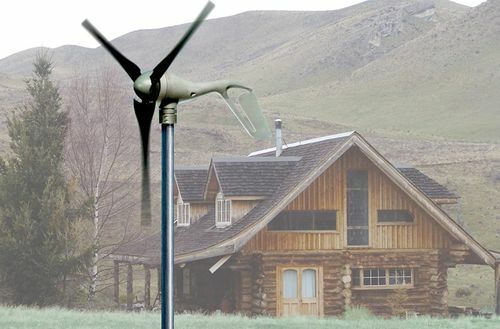 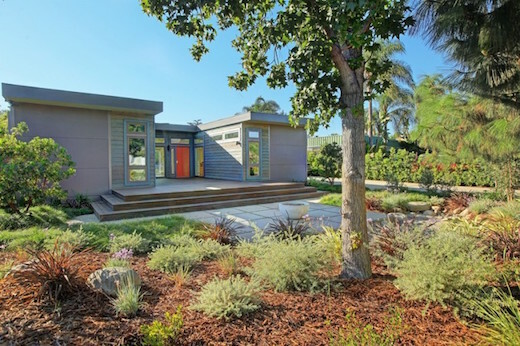 The home was designed by LivingHomes in collaboration with Make It Right, an endeavor by Brad Pitt and Bill McDonough, and was built to a LEED Platinum level environmental program with Cradle-to-Cradle inspired materials. 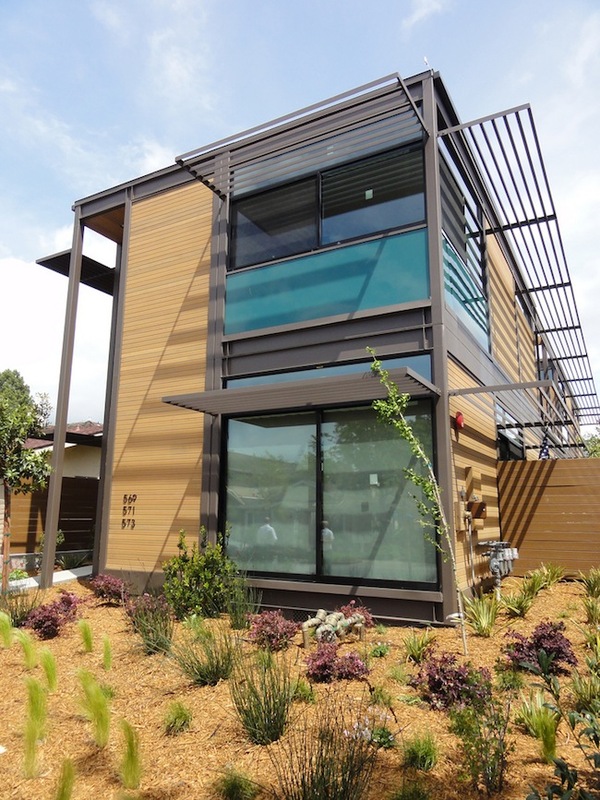 This is C6, the first low-cost LivingHome and the only “Zero Energy, Zero Carbon production home ever to feature a LEED Platinum level environmental program and Cradle-to-Cradle inspired materials,” according to California-based green prefab company, LivingHomes. 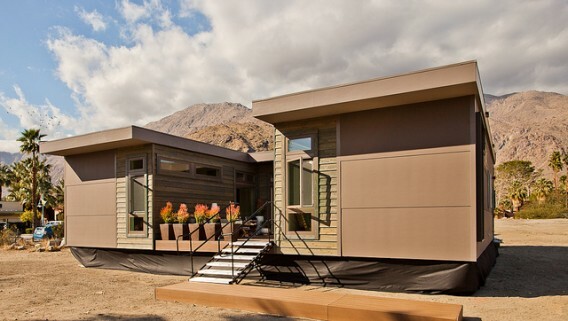 It was designed by LivingHomes in collaboration with Make It Right, which was founded by Brad Pitt and Bill McDonough, and will open for tours this month in Palm Springs, California (and there’s also one in Long Beach). Santa Monica-based LivingHomes is doing great things with factory-built homes designed by elite architects. 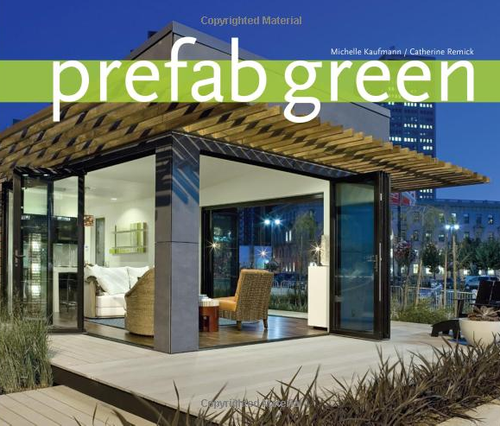 They built the first LEED Platinum home in the country and have since certified about 8 more Platinum-level prefabs in various places. 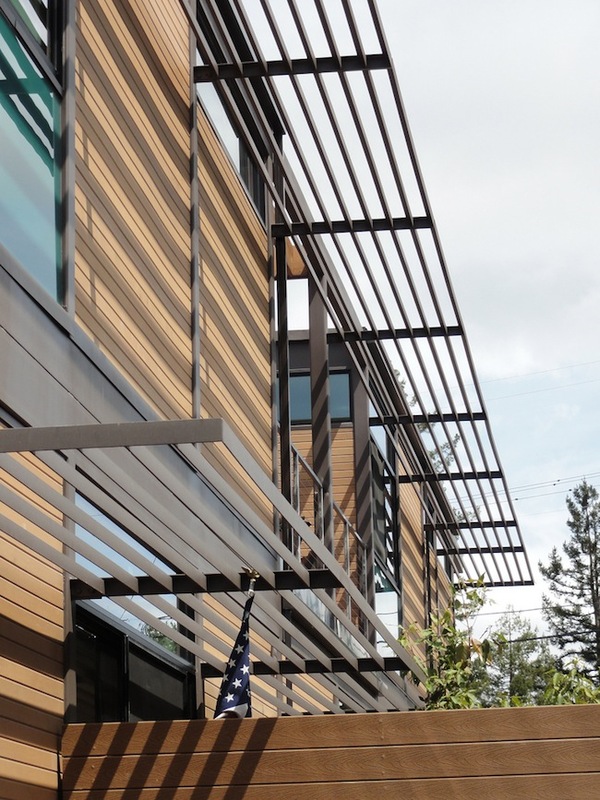 Not satisfied with only single family homes, the company has been working on this 3-unit multifamily project in Los Altos, which is also shooting for Platinum certification.